Choosing the right dash camera to suit your needs can be difficult, as the market is flooded with lots of different types of dash cams nowadays, making them affordable for people to buy, which is great news for consumers! With so many different makes and models on the market, it’s hard to know which dashcam to buy. The major players in the market are Blackvue and Nextbase which are sold at the best prices, on MicksGarage.com. Our experts here are here to help you pick the best dam cam for you; walking you through the different ranges we have. The first dash cam we talk about is the front facing, 1 channel camera. This dashcam mounts either on your dashboard via a suction cup, or you can mount it underneath your rear view mirror on the windscreen. Its main function is to record what you see out the front windscreen (duh). All information is then stored on a memory card or the internal memory of higher spec models. Some dash cam models come with a Parking mode, which allows the camera to record while the car is parked. This is very useful if your car happens to be hit when you are not in it. Front facing dash cams range from between €23 all the way up to €250. 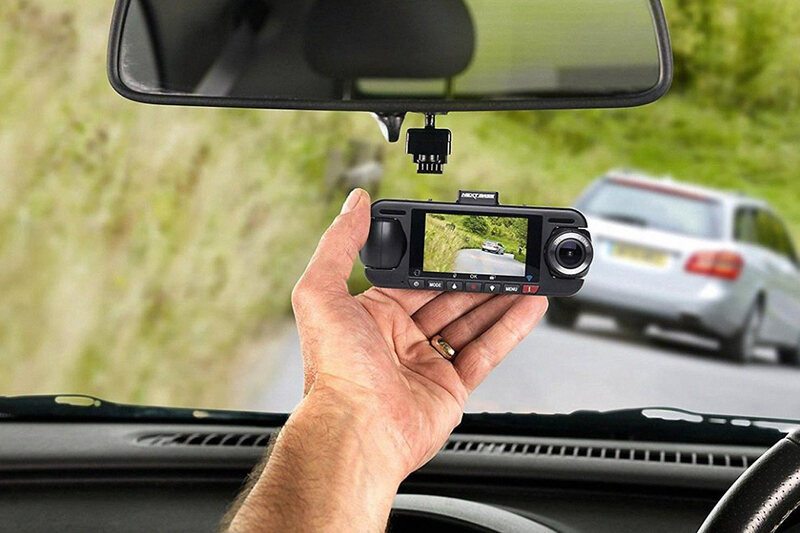 When you’re looking for a front facing dashcam, you should really find something sleek and small so that it does not block your view of the road while driving. 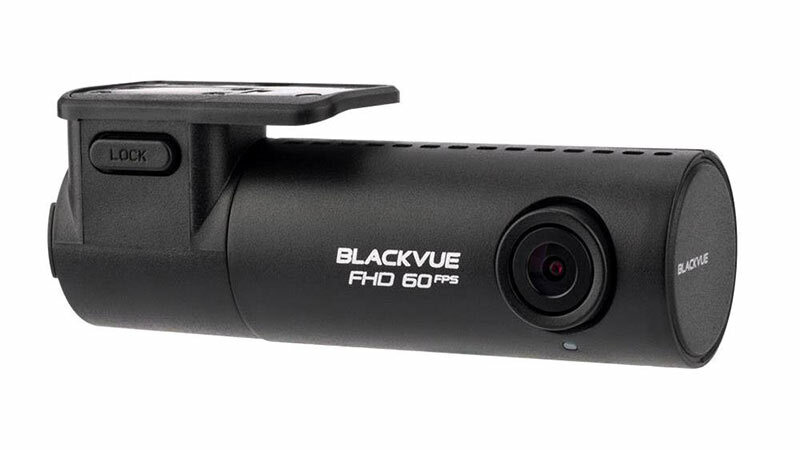 Recommended model: Blackvue DR-5901CH Dash Cam. Dual dash cams, or front and rear dash cameras are excellent because they protect you from all angles. All too often, a driver fits a front facing dashcam, only to be rear ended from behind, and non of it’s captured on camera. Recording what’s in front of you and what’s behind you at the same time, a dual dash cam prepares you for any collision that you may be in. The front and rear dash cam is an extremely smart purchase as having footage from the front and rear is invaluable when an incident occurs. With the level of insurance fraud that is happening, it’s best to be as cautious as possible! 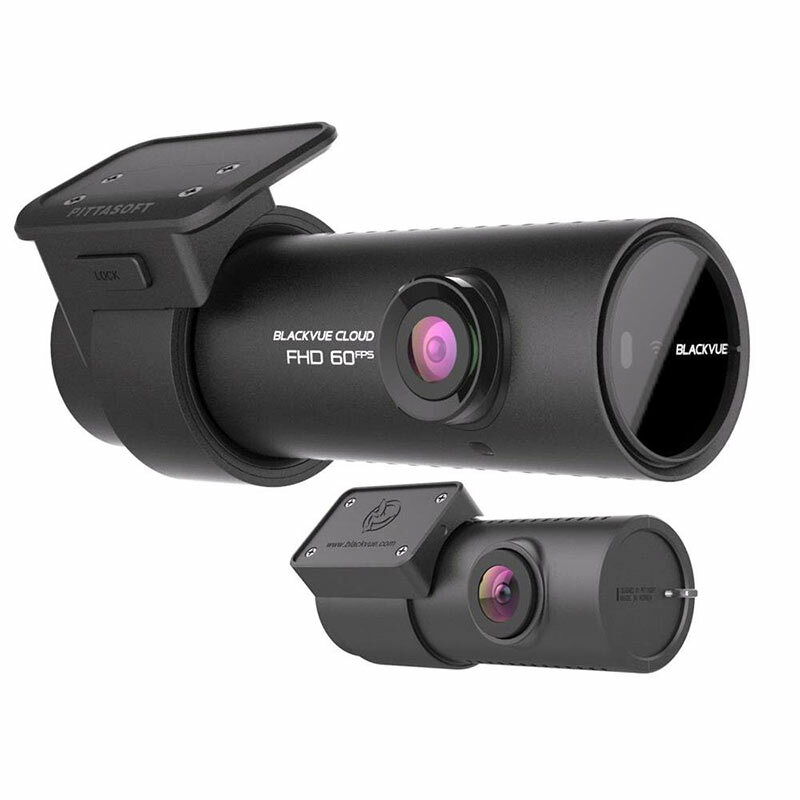 Handy tip – make sure to mention to your car insurer that you have a Blackvue or a Nextbase Dual Dash Cam, as having the front and rear camera installed may reduce your car insurance premium even more so when compared to a non branded, lesser quality, front camera. 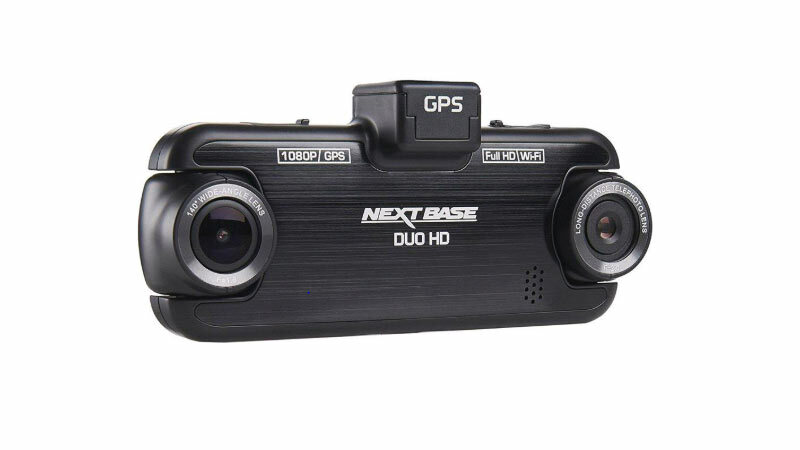 Different models have different options, you could opt for the Nextbase Duo camera, which records the front road activity, as well as the cab activity – a must for Taxi Drivers! Or you could opt for the best selling, more sophisticated Blackvue 750S-2CH 2 channel dash camera, which provides 2 cameras – 1 for the front, and 1 smaller one for the HD rear recording, out of your back windscreen. Powering these cameras is simple, they connect to the 12V cigarette lighter socket or a USB port, and they even have an internal battery so they can be charged in advance. Similar to the front facing dash cams, they also record what the driver sees in front but what’s neat about these, is that you can very discreetly hide the camera on your mirror. If you’re concerned about an ambitious thief stealing your dash cam, they’ll be far less likely to notice a Mirror Dashcam. 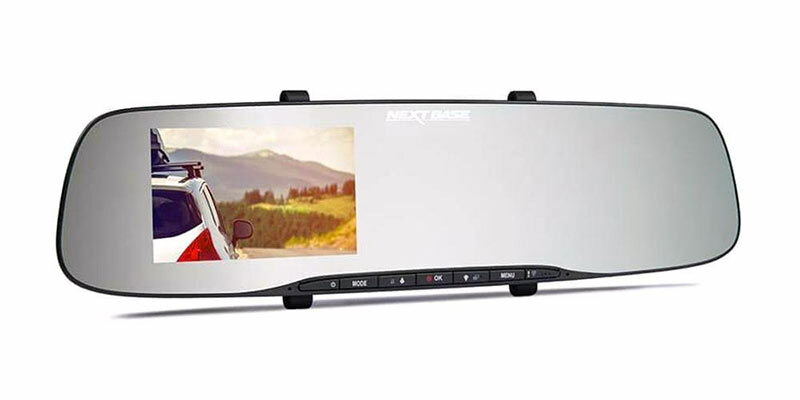 Nextbase have a cool Mirror Dash Camera which actually shows the live recording stream on your mirror while you drive. 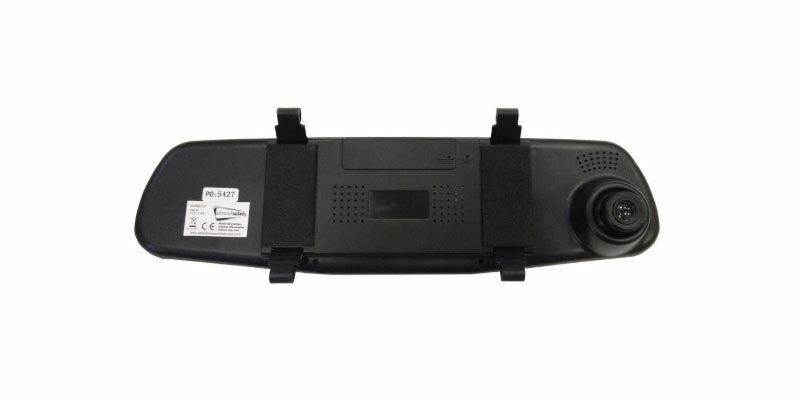 The dashcam LCD is embedded in the mirror itself, so it simply replaces your interior mirror. This can also be slightly distracting, drivers actually get tempted to watch the display of their dashcam, recording the road, instead of watching the road itself! However if you can resist this, then a Mirror dashcam is for you. 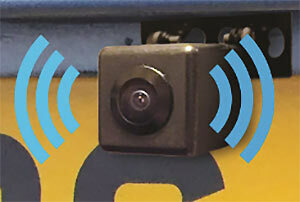 These provide a discreet recording of the road ahead, generally without any obstruction to the driver’s view. Not your usual dash camera but a camera all the same. These sit on the rear of your car and provide assistance when parking and reversing. By using your smartphone as the display, you are able to reverse safely without hitting your car or people for that matter. All you have to do is download the app and connect via wifi. Affordable and easy to install. So there you have it, we hope this article has helped you gain a better understanding. All these dash cams make for a safer driving experience. If you having questions about, car accessories, simply send us an email at info@micksgarage.com and our team will help you to get Car parts for less. We will help you and we’ll make sure that you’re getting the best price every time! MicksGarage.com the Car Parts Experts.